Anytime you use iCloud or iTunes to back up an iPhone or iOS device, the Contacts will be backed up automatically assuming the default settings are preserved. If you want to store an additional backup outside of iTunes and iCloud however, by far the easiest way to do that is with Address Book. This will create a portable vCard file that contains all contact information, this can be stored anywhere as a manual backup and it can also be sent to other devices and imported to other phones, operating systems, email clients, and much more. The file you just exported is the contacts list backup. The vCard format is widely accepted and can be imported into just about anything else while preserving all names, emails, phone numbers, and whatever other data you had entered. In fact, if you attach the resulting .vcf file to an email and send it to another iOS device, Windows phone, or Android, you can actually transfer all the contacts to a new phone without using iTunes at all too. This is handy if you want to setup a new phone with only the contacts intact, are sharing contacts with a partner, or you are temporarily using another device and don’t want to manually sync it with a bunch of other stuff. You can also easily send single contacts directly from iOS if you wish to back up a unique contact or just share it with someone else. nice one, but in the other side without Itunes : MAC => Iphone ?? Just email yourself the .vcf vcard file, you can import all the contacts directly into the iPhone that way. The iPhone does not have an applications folder. How do I get the contacts from the iPhone to the Mac. Paul is assuming that everyone syncs their contacts with iTunes and to the Address Book on the the Mac. For those who do not, this tutorial will not work. A program such as CopyTrans Contacts would also back up the iPhone contacts directly to the computer without the need for iTunes. I have so far used it to create backups of me and my husband’s iPhone contacts. The problem with the automatic iTunes backups is that they are not directly accessible like a direct backup and you must restore your iPhone with iTunes in order to restore the contacts. I am not sure about the iCloud as we do not use the service. Thank you for your comment – this is certainly useful for Windows users, as Address Book is designed only for the Mac. 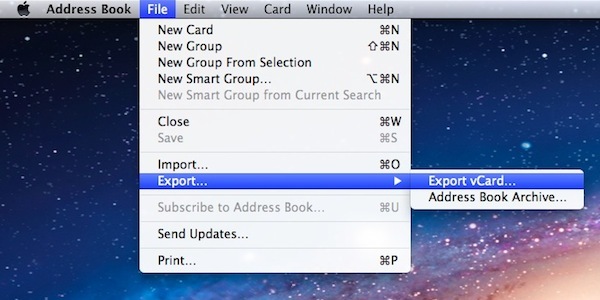 Don’t forget that ALL contacts need to be selected for exporting or else only 1 address will be in the .vcf file. what you need to easily preview and backup contacts without iTunes. 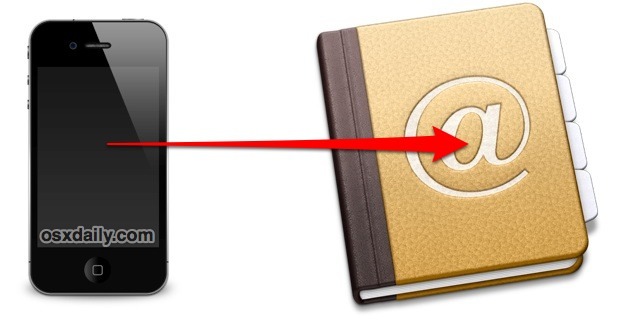 What you need to backup iPhone contacts without iTunes or iCloud is FonePaw iOS Transfer. You can preview and selectively backup contacts on computer. You can try to use the FonePaw iPhone Data Recovery which can check your contacts and it can be fully backed up to your PC. Thank for sharing! So you’re looking for some method for how to backup iphone to iTunes or backup iPhone without iTunes, in case that you might delete files or loss them accidently. It’s not a daunting job to backup files from iPhone any more. Actually your description is wrong. What you describe will ONLY save the single Address entry that you are viewing at the time.